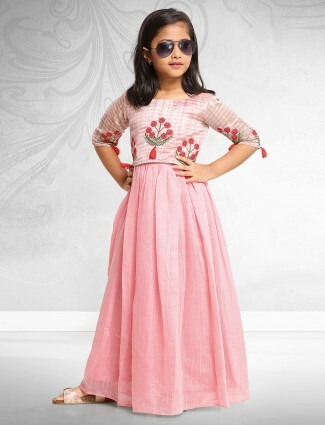 Gowns in beautiful drapes and fabric concepts giving the girls a perfect princess look, g3fashion.com brings your precious girls to be stylish and elegant by shopping online for girls gowns in all colours in brights and pastels. Gown are a look which gives a glamorous and stunned effective look on the little angels. 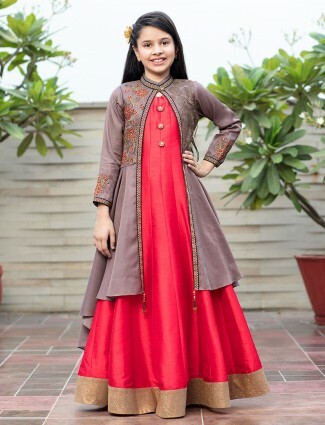 Girls love dressing up in this ethnic style, birthday parties, wedding functions, receptions, engagement, special occasions to get best compliments as this attire suits and beautifies all girls. 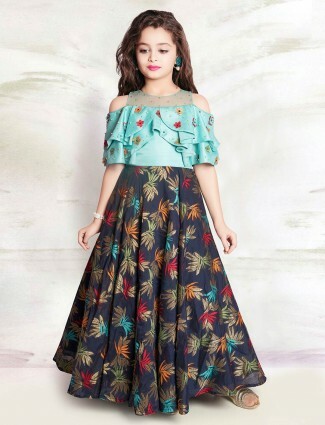 All girls can wear gowns designed with fabrics like georgette, chiffon, nets, crochet, tissue, brasso, jacquard net, sequins and others to look elegant in feminine glimpse of fashion as we provide 1 to 16 years Girls Gown to add a polished and luxurious attire to their clothing variety. 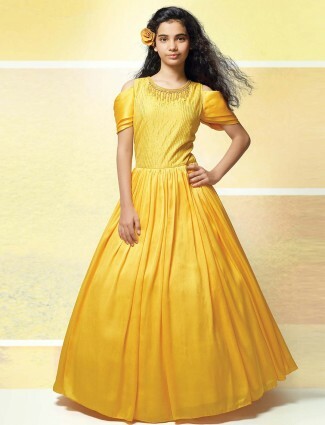 Girls gowns may be styled up in the traditional touch in the longer lengths, in pretty embroideries and concepts, and their famous western cuts and patterns to transform the crowd to have a stunned reaction at the glamorous wear in exclusive creations by G3+ Fashion at a starting range of INR 1700. Either you desire a gown for your teen girls of 13-14 years and 15-16years or small baby girls of 1 year, 2 year, 3 years… or more, we give you excellent fits and best styles to suit their tastes. 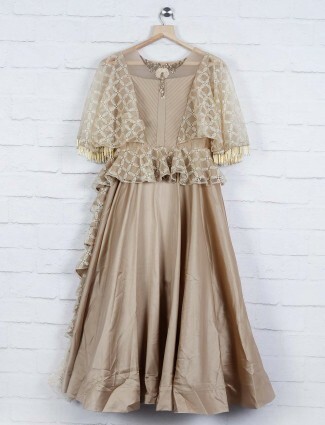 The jazzy look for girls in their favourite girly gown to wear at weddings, parties, events and proms has been brought for you to shop in all sizes and perfect fits on our website in low prices. Our designs are in latest cuts and patterns with fabric and work details carved to bring a sensational collection in girls gowns. 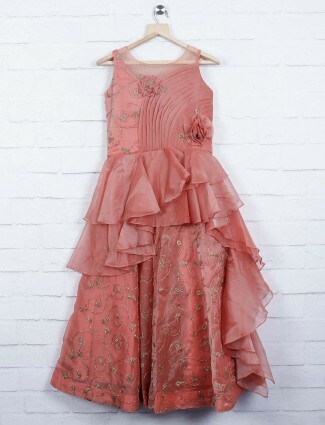 Shop the new trend of gowns for girls with colours for weddings and birthday parties for pretty girls like red, pinks, peach, white, beige, purple, yellow, orange and many others to set the right style matching their needs. Take the look of mother and daughter designer concepts alike, with our gowns for women and gowns for girls, inspired designer gowns and match theme collection for events. 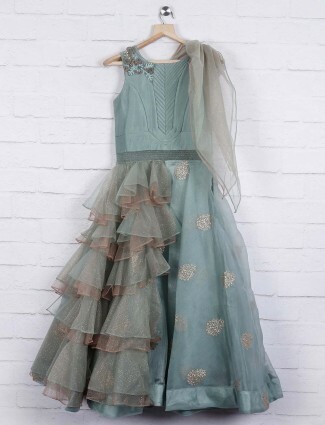 Shop online latest Girls gown collection 2019 in fabrics like net gowns for girls, jacquards gowns, girls georgette gown, chiffons, brasso, imported fabrics and highlighting fabrics of sequins, velvets, silks, shimmer georgettes and more glamming looking fabrics to get the elegant and ravishing styles out of gowns for small girls and teen girls gowns. Borders and panels are a great look to Indian gowns which are great wedding wear attire for small girls, and the modernised version of frilly and gathered form of sheer fabric with delicate work are found with us in variations of colours. Our exclusive brand gives us many options to choose from in girls gowns for which we provide worldwide shipping and free shipping in India.